David Pflieger is a highly successful leader who has taken care of employees and others throughout his incredibly broad and distinguished career in business, law, and the military where he was a pilot and officer in the U.S. Air Force. 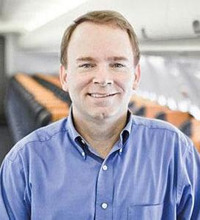 During his career, Dave Pflieger has been the President & CEO of three separate companies that he successfully turned around operationally and financially, and he has also served as the head of operations for a $1.2 billion airline (Delta Air Lines low cost carrier) and been the General Counsel and Senior Vice President of Legal & Government Affairs at Virgin America. In each instance, David Pflieger has not only focused on creating and building highly successful and award-winning companies, he has also ensured that each organization took great care of its employees and was active in community involvement and corporate social responsibility (CSR). In particular, while at Virgin America, David Pflieger created the company’s sustainability and CSR programs, and his efforts there led to a number of industry accolades for being: 1) the first airline to partner with the Environmental Protection Agency (EPA) and the world-renowned Climate Registry to transparently report and publish a comprehensive corporate greenhouse gas carbon footprint; 2) the first airline to allow passengers to purchase carbon offsets in the air with the Carbonfund.org via the airline’s in-flight entertainment system; and 3) the first airline to create company-wide “green teams” made up of employee volunteers who participated in internal, as well as external environmental sustainability efforts. As the Managing Director and CEO of Fiji Airways, David Pflieger created the company’s first-ever financial incentive program for front-line employees that recognized and paid every member of the staff up to $1,200 annually – as the company achieved quarterly performance goals aimed at improving: safety, operational performance, and customer service. More significantly, Dave launched the first-ever profit sharing program in Fiji’s history for company employees, and this program continues to pay out record breaking profit sharing checks each year. While living and working in Fiji, Dave Pflieger also created Fiji’s first Health & Wellness Clinic, an institution founded to screen and treat employees and local citizens proactively for hypertension, heart disease, and diabetes, and he also launched a scholarship program to help fund access to primary education for underprivileged children in local communities. David Pflieger graduated from the United States Naval Academy in Annapolis, Maryland, and after receiving his diploma from President Ronald Reagan, he cross-commissioned into the Air Force where he became one of the country’s youngest B-52 aircraft commanders and later served as a Strategic Air Command instructor pilot and Squadron Executive Officer. Dave Pflieger subsequently earned a Juris Doctor, with distinction, from the Emory University School of Law, a Master of Business Administration degree from Emory's Goizueta Business School, and he graduated from the University of Southern California’s Aviation Safety Program.